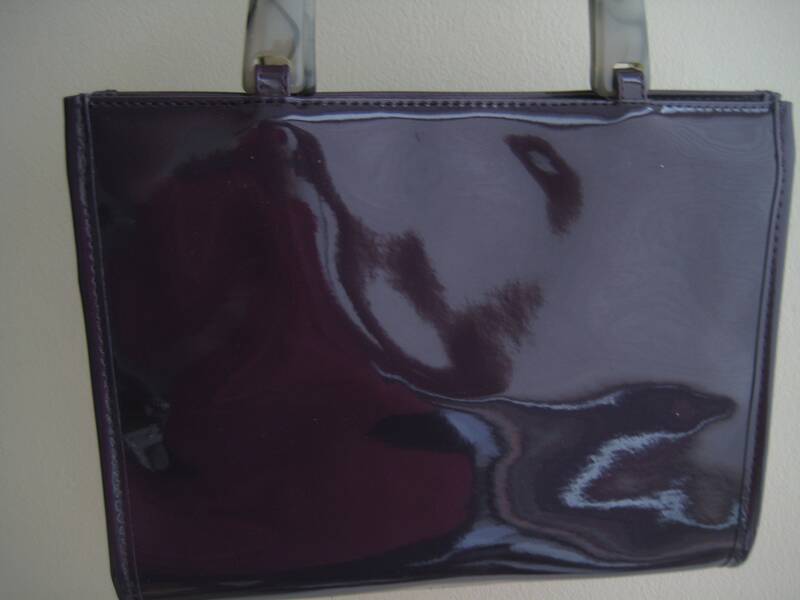 Great, like-new purple vinyl satchel from Neiman Marcus. 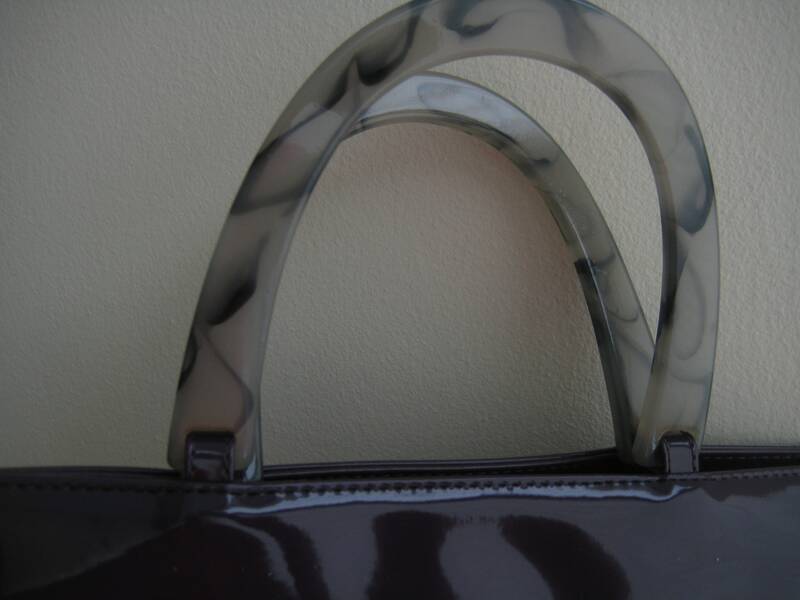 Simple square body with double Lucite handles with gray-tinged marble-look. 4-inch drop. 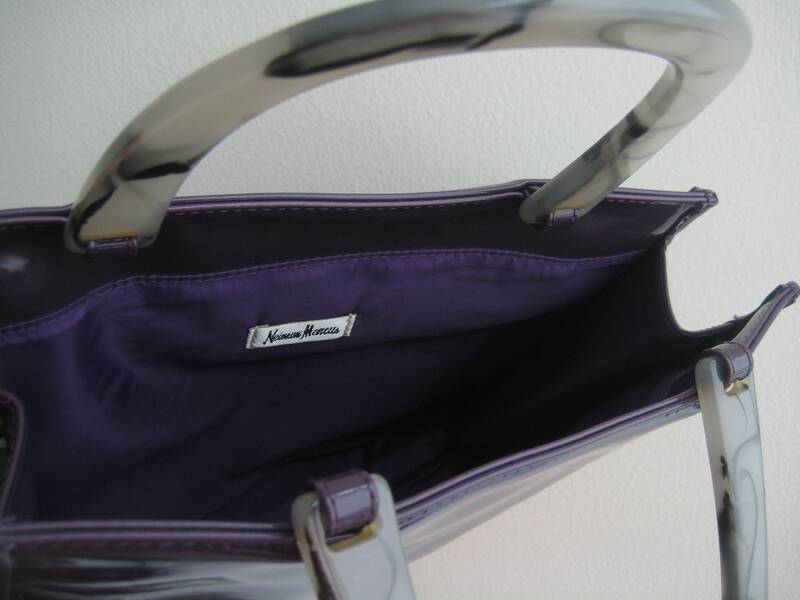 Purple polyester lining with NM label. 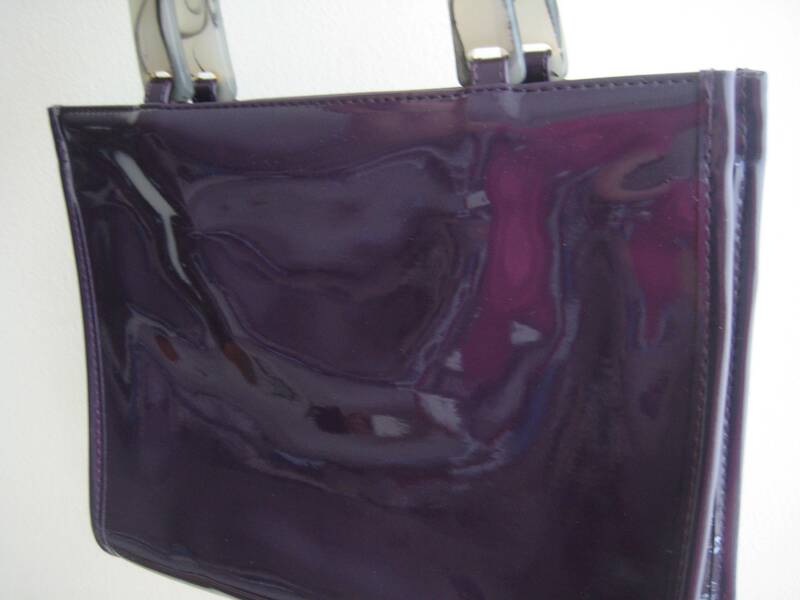 Fabulous color to match or off-set the perfect outfit! Roomy to carry all your essentials. Dimensions: 11 inches long x 9 inches tall x 2.5 inches wide.